Classical dance gets turned inside out when it’s paired with the country’s next gen dancemakers. Don’t miss this first look at these brilliant artists as they are stepping into the limelight. 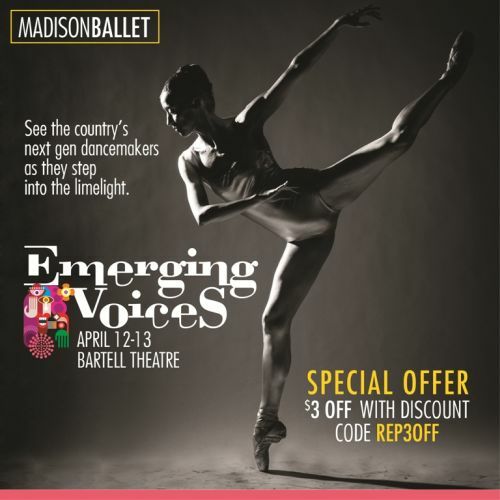 Featuring five hot choreographers from Chicago who are in demand across the nation. Madison Ballet’s repertory programs present ballet in its purest form—athletic, sensual, and intimate. The 200-seat Drury Stage at the Bartell Theatre is just the setting for showcasing shorter works by both established and up-and-coming choreographers.